Will the relationship between Morocco and Saudi Arabia flourish after the Paris meeting? Morocco's relationship with Saudi Arabia has been strained since May, especially after the variation of the position over the blockade against Qatar and the "detention" of the Lebanese Prime Minister Saad Hariri and Prince Al-Walid ben Talal. Yesterday in Paris, King Mohammed VI met the crown prince of Saudi Arabia, Mohammed bin Salman. 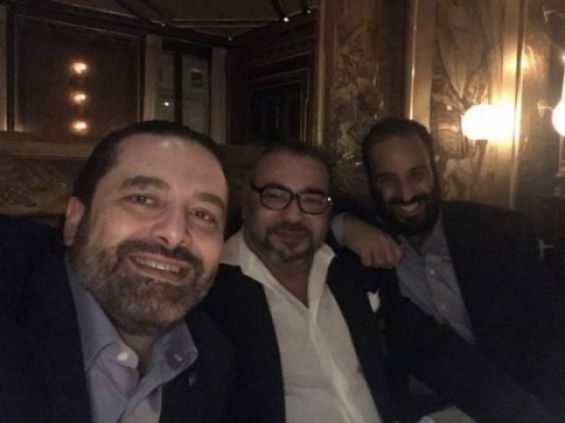 The Lebanese Prime Minister, Saad Hariri, posted a picture on his official Twitter account, in which he appears alongside King Mohammed VI and Crown Prince of Saudi Arabia, Mohammed bin Salman. The picture received great media attention. The informal meeting between King Mohammed VI and the Saudi Crown Prince comes at a time when the relation between the two kingdoms has been in silent tensions for nearly a year. Will this meeting succeed to reconcile the two countries? Unlike the United Arab Emirates, Bahrain and Egypt, Morocco did not join the blockade against Qatar imposed by Saudi Arabia. The Kingdom has already justified its neutral stance through an official statement of the Ministry of Foreign Affairs and International Cooperation on June 12. Although the statement did not convince Rabat's allies in the Gulf, especially Saudi Arabia. 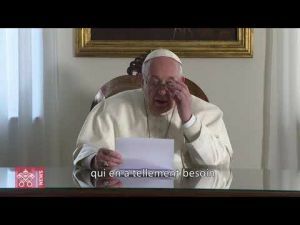 Since the beginning of the Gulf crisis, the media and officials close to Mohammed bin Salman have regularly criticized Morocco. The Moroccan candidacy for organizing the 2026 World Cup was a great opportunity for them to remind Morocco of its refusal to join the countries having decreed the blockade against Doha. Indeed, Saudi Arabia hinted towards a support for the North American bid to host the 2026 FIFA World Cup. Likewise, the Saudi Crown Prince's "detention" of the Lebanese Prime Minister Saad Hariri and several businessmen, including Prince Alwaleed bin Talal in Riyadh, contributed to the cooling of the Moroccan-Saudi ties. Lebanese media outlets reported that Mohammed bin Salman rejected King Mohammed VI's mediation for the release of Hariri and Walid bin Talal, Prince Moulay Hicham's cousin. However, an informal meeting in Paris will probably bring back the Moroccan-Saudi relations: The Kingdom wants the support of Saudi Arabia to host the 2026 World Cup. Morocco also expects to receive a 5 billion dollars pledge from 2013 by the Gulf Cooperation Council. Despite the meeting, the ongoing changes in the diplomatic scene and in Saudi Arabia still call for caution, although the restoration of the relations between the two kingdoms could be confirmed on April 15, during the 29th Arab League summit in Riyadh. The presence of the Moroccan monarch would be a confirmation of the optimistic readings of the image published by Saad Hariri.